Sponsored by LSCArts. Assembled by the hands of 80+ volunteers between Jan 24-28, 2016. 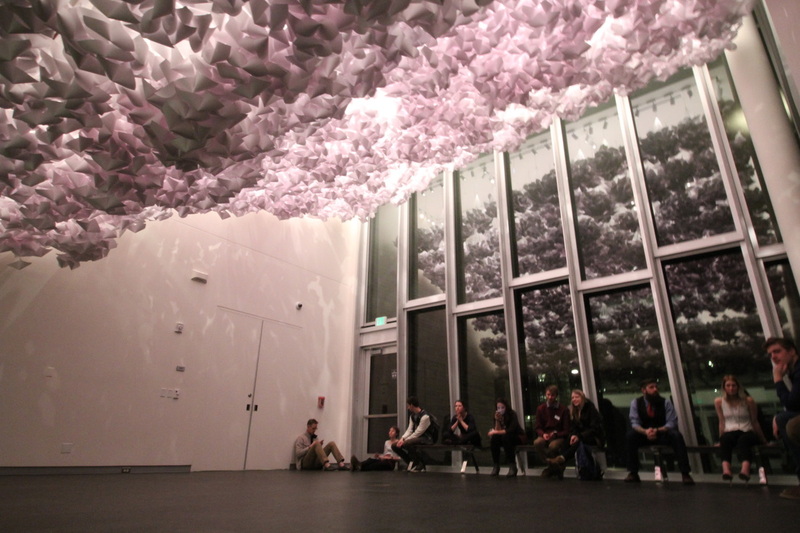 Composed of 11,500 sheets of office paper & staples suspended by over 15,000 yards of strings.